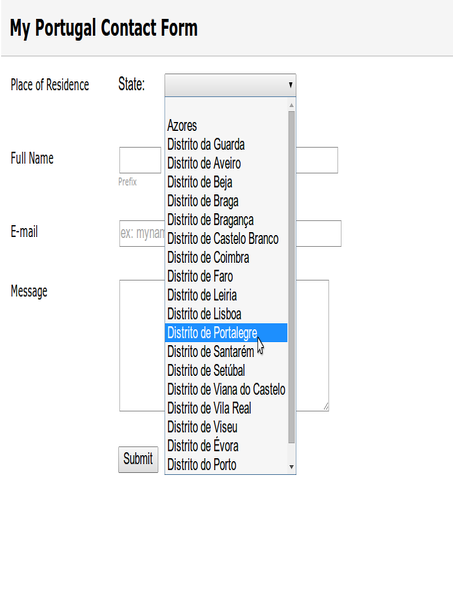 This widget automatically lists all the Cities found in Portugal based on a State filter. 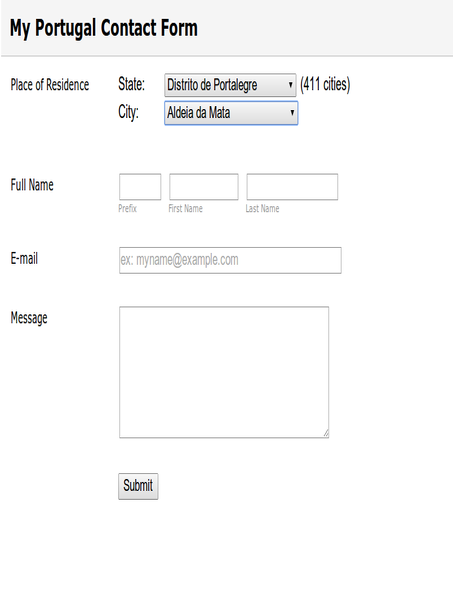 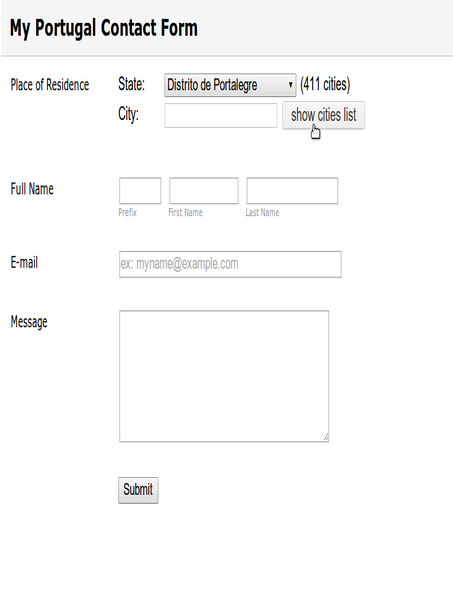 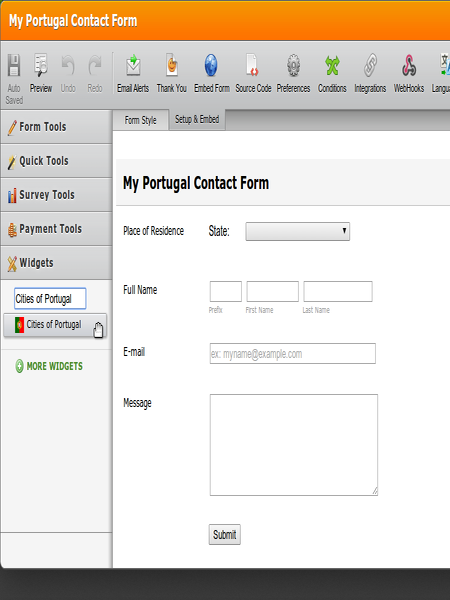 If you have a form that reaches out to Portugal - then this is the widget to use. 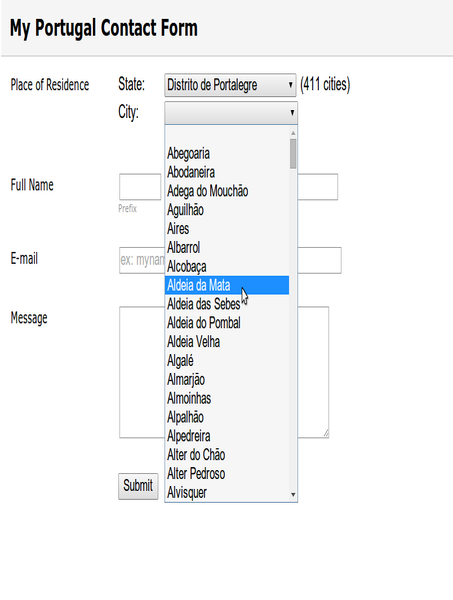 It will allow your users to quickly pick out their city from a drop down alphabetical listing of the cities in the selected state.